The saying ‘Cash is King’ is well founded. 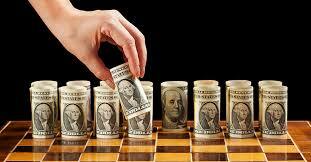 If you make a profit but not any money, then you may need to manage your cash more effectively. There is a significant portion of businesses in the UK that do not manage their cash effectively and don’t prepare regular cash flow forecasts. Here are 6 key tips on managing your cash more effectively. The first task in managing cash is to prepare a cash flow forecast, usually for a 12 week period. It is essential that your accounts are up to date since the forecast has to be built by looking at the last 6 months history of receipts and payments. The best tool to use is a spreadsheet and your accountant should be able to advise on setting this up. Once prepared, this should be updated weekly so that it becomes a 12 week rolling forecast and once you compare what actually happened against the forecast as time goes on, your cash flow forecasting will be more accurate. It is advisable to use a weekly forecast of receipts and payments since any shortfalls can be identified easily. For e.g. if you do not receive a customer payment until the end of a month but have to pay salaries and the Inland Revenue around the middle to end of the month, there may be a shortfall. Cash flow forecasts are essential in identifying such shortfalls and preparing to deal with them. You may also prepare 12 month forecasts, depending on what your plans are or if your bank needs them. Include the cash flow forecast in your management accounts and make it a key discussion point in your Board and management meetings. Once you have prepared your forecast, how do you improve your cash flows? There are several ways to improve your cash flows. – Agree payment terms with your customers, usually these should be on your invoices. – Agree separate payment terms and credit limits with larger customers if necessary and also carry out credit references from their bank and key suppliers. – Develop a good relationship with the key person who has the ability to pay your bills. – Ask for advance payment for major projects. – Send out your invoices promptly. – If payments are delayed, always call them immediately and even visit them to get your payment. – If payment is not made, stop supplying them immediately. – You could legally charge interest on overdue payments but at this point, you may find that you do not want such customers. – If you are a larger business, consider invoice factoring. Good relationships with customers and good credit control are vital in running your business. Don’t forget, what you have supplied is a gift until you are paid! – Ensure you pay your bills on time and regularly and once you build up a reputation for paying regularly, your suppliers would be more willing to extend you credit if you do have a cash flow crisis. – Pay the smaller bills within 30 days since the number of calls you will receive chasing these bills would be much lower. – Negotiate better terms with your larger suppliers including longer payment periods. – Salary payments, payments to the Inland Revenue and VAT payments should not be delayed and if you delay the PAYE and NI payments on a regular basis over 3 months or so, the Inland Revenue may get interested in why this happening. If you do have a financial crisis, both the Inland Revenue and Customs have the right to demand to be paid before any one else. If the cash flow forecasts do not show what you expect, it could be that your profitability has decreased. It is easy to forget that overhead costs accumulate over time and you should consider cutting any costs that are not essential to the business, whether salaries, office expenses or marketing costs. It may be time to consider increasing your own prices. It may be that your anticipated cash shortfall is due to a business expansion plan which may involve investing into property, equipment, staff or marketing. If the business cannot fund this out of cash, then you will have to consider a bank loan, overdraft or leasing finance. Usually, an overdraft would be to fund working capital rather than the longer term assets such as property or equipment which could be funded by loan or asset finance. You may prefer to fund the expansion solely through the business but you may have to fund it over a longer period, after having made sure that you have increased your cash flows with effective management. Always have a contingency amount built in to your cash flow forecast, so that if anything unforeseen happens, you can manage the crisis more easily. Also, be on good terms with your bank manager and keeping them in the picture should enable you to borrow money at short notice in case a major debt is not paid in time. You should ensure that your business is also funded adequately. One of the major reasons in business failure is that owners under estimate how much it will cost to start up or expand the business. Finally, make sure that your accounts and books are up to date since major items can be overlooked and no amount of forecasting will put that right. Prepare cash flow forecasts and make it a key management discussion point. Collect your debts from customers on a timely basis and don’t be afraid to stop supplying them if they don’t pay. Pay your supplier bills on a regular basis but not faster than your customers pay you, again on a 30-45 day basis. Plan for contingencies and keep your accounts up to date. Competitive Advantage – how to gain it ! Profit or cash – what is more important and why?